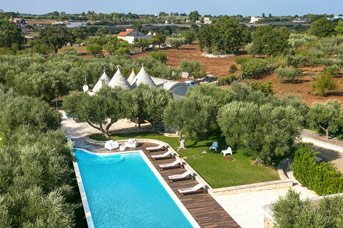 The countryside around Noci is more open compared to some regions of Puglia with wide fields interspersed with farms and some lovely mature woodlands. 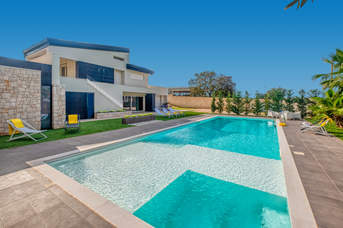 Our villa is a short drive into town where you can find all the essentials plus a few restaurants and cafes if you want to experience the local way of life.The countryside around Noci is more open compared to some regions of Puglia with wide fields interspersed with farms and some lovely mature woodlands. Our villa is a short drive into town where you can find all the essentials plus a few restaurants and cafes if you want to experience the local way of life. There is a supermarket on the outskirts of the town and plenty of bakeries, butchers and other small shops in town. 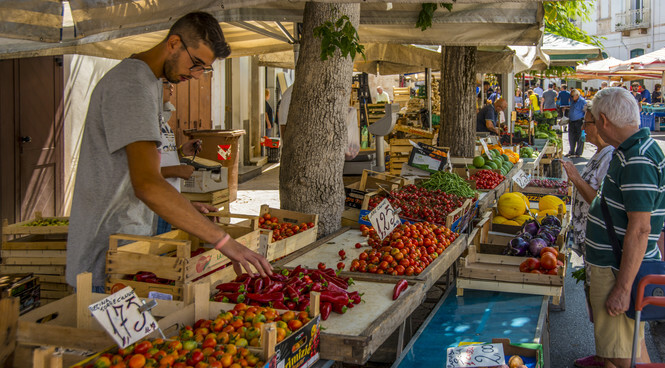 Every Tuesday, there is a market where you can choose locally grown fruit and vegetables and browse for souvenirs. Noci is gaining a reputation for its wine so you may want to pick up a bottle or two. In Noci, you’ll find a variety of restaurants from bars and simple pizzerias to restaurants serving seafood and local specialities. In the countryside around Noci, you’ll find plenty of masserie, farmhouses who have a restaurant with meals prepared from seasonal produce often grown on site. It’s a lovely experience and delicious way to learn about Pugliese cuisine and culture. You can drive down from the plateau to Polignano a Mare or Monopoli which are around 45 minutes away. There are small coves with limited facilities to the north of Polignano a Mare and Monopoli. You can also use the stony beach in the centre of Polignano a Mare and the sandy beach in Monopoli centre. Both are fairly small but have good sea swimming. There are several different grottoes all within 20 minutes of Noci. The closest is in Putignano and the largest is Grotte di Castellana which is almost 2 miles long with guided tours of 50 minutes or 2 hours to learn more about this unique underworld. Above ground, the Fasonolandia combines a theme and safari park for a fun day out. Noci is within 20 minutes’ drive of Alberobello. Martina Franca is around 30 minutes' drive and has some fine Baroque architecture plus plenty of cafes and restaurants where you can take a break from exploring. The frescoes in the palazzo are well worth seeing. Alberobello is a must-see for everyone who visits Puglia due to its 1,400 trulli, the iconic conical roofed homes that the region is famed for. It's also a good place to find souvenirs and enjoy the local cuisine.